Dutch Startup LeydenJar promises 50 percent more battery capacity. Pioneering battery technology, devised by a Dutch startup company, which promises a substantial increase in the range of electric vehicles and significant cost reductions, was chosen as the winning entry in a competition which called for innovative business ideas to help shape the future of global mobility and urban living. The innovative business proposal for a pure silicon anode for use in lithium-ion battery cells was chosen as the winning idea from a shortlist of ten finalists in the BMW Startup Challenge.
. “Our selection criteria were based on questions such as: level of pain the problem causes to users or the market, how well does the solution solve the problem for BMW and how different is the solution from current ones?”, explains Menno Kleingeld, Managing Director VDL Enabling Transport Solutions. LeydenJar’s silicon battery anode is claimed to have a tenfold capacity over existing graphite anodes, which leads to an increase in energy density of an electric vehicle battery of up to 50 percent. The technology offers a substantial increase in the range of battery-powered vehicles and a significant reduction in the cost-per-kilometre. The technology is said to be scalable and can fit in the existing battery manufacturing process. Christian Rood, Co-founder of LeydenJar Technologies, was congratulated by Peter Schwarzenbauer, Member of the Board of Management BMW AG, MINI, Rolls-Royce, BMW Motorrad, Customer Engagement and Digital Business Innovation, during the BMW Group Symposium as he was presented with the grand first prize: 12-month use of a new, special-edition BMW X1, built in the Netherlands. The two runners-up, both Dutch startups, were Wellsun, whose transparent, electricity-generating Lumiduct panels optimize the use of sunlight and improve the energy self-sufficiency of buildings, and Skytree, whose idea to extract CO2 from closed spaces improves the quality of indoor air in cars, while reducing energy consumption and increasing the range of electric and other vehicles. 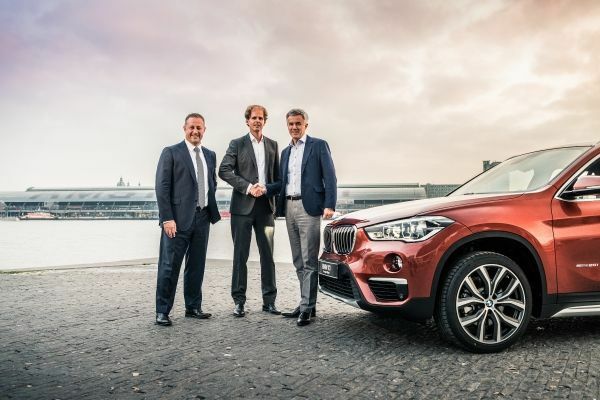 These top three finalists also received the offer of an all-expenses paid visit to BMW’s in-house Startup Garage in Munich, Germany, where they will have the chance to present their proposals in detail to BMW managers who are responsible for buying products and services on behalf of the company. “The quality and diversity of the innovative business ideas presented by the ten finalists in the BMW Startup Challenge was truly outstanding“, said Peter Schwarzenbauer, Member of the Board of Management of BMW AG. 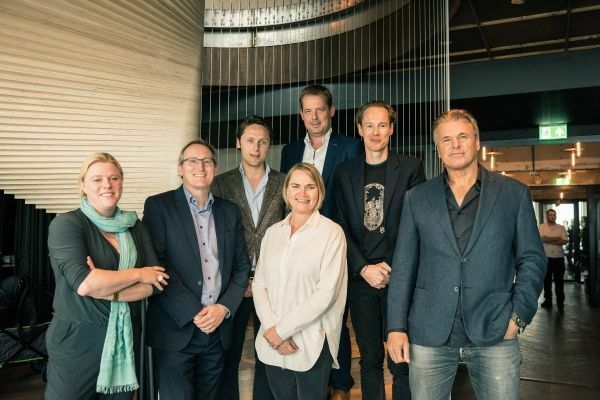 “Personal exchange with the passionate, ideas-driven start-up scene is very exciting for an innovation leader like the BMW Group, particularly in times of increasingly rapid technological change,” he added. BMW challenged startups from across Europe, working in all fields related to mobility products or services, to submit their pioneering technology, product or service ideas for the competition that offers a chance to become part of a pool that buy billions of euros’ worth of products and services every year. The finalists were selected from a total of 62 startup companies from 10 countries that originally entered the BMW Startup Challenge, which was held in conjunction with the BMW Group Startup Symposium and StartupFest Europe 2017, Europe’s leading startup festival. The startups represented a diverse range of innovative new technology fields that included electric vehicle batteries, artificial intelligence, energy generation, electric motorcycles, peer-to-peer personal transportation, IP security and anti-counterfeiting, wireless electric vehicle charging, augmented reality, radiation protection and carbon dioxide management and control. The jurors on the judging panel were Daan Roosegaarde, Dutch artist and founder of Studio Roosegaarde; Evert Jaap Lugt, Managing Director of YES!Delft; Menno Kleingeld, Managing Director of VDL Enabling Transport Solutions; Pieter Waasdorp, Director of Entrepreneurship at the Ministry of Economic Affairs; Anne-Wil Lucas, Program Manager Talent, Knowledge and Skills Startup Delta and Jochem Cuppen, Global Director Get in the Ring. BMW Group has a formal, industry-leading structure in place to support high-potential startups in all phases from early stage development through to late stage and delivery. This ecosystem fosters initial ideas, taking them through to initial production and then on to the creation of full supplier partnerships. BMW’s business accelerator, venture capital and startup initiatives are designed to find technological solutions at a time of convergence of multiple social trends, which each have the potential to dramatically change mobility and urban living, such as in the areas of automated, connected, electrified and shared mobility. BMW i Ventures is a venture capital company that provides early and mid-stage investment in cutting-edge solutions that are focussed on the mobility needs of the urban population. BMW i Ventures invests in these solutions, focusing on BMW’s current and future business in the technology and customer / service spaces. BMW Startup Garage aims to help startups build their automotive business by becoming their partner to help them put their product or service into millions of cars. The Garage seeks out startups with an innovative technology, product or service that can significantly advance or even disrupt the motor industry. This ‘Venture Client’ partnership allows a startup to demonstrate the value of its solution to the automotive industry by integrating it first into BMW Group vehicles or mobility services and provides the start-up with access to a network of engineers and managers within the company. URBAN-X is a venture accelerator for startups reimagining city life, run by MINI and the investment fund Urban Us. Since its launch in 2015, URBAN-X has become a home for creative entrepreneurs from around the globe who are improving cities through technology and design. URBAN-X is not solely a mobility accelerator; the initiative includes mobility and transportation companies but also goes far beyond the car, covering core urban topics such as future living, new solutions for energy, food and waste systems, and innovate approaches to governance. What is unique about i Ventures, Startup Garage and URBAN-X is that it offers both funding and a client relationship, and ultimately allows startups to become part of the pool that buys billions of products and services every year.